The first franchise for electric public transport was issued by the Land Transport Franchising and Regulatory Board (LTFRB) in favor of the electric jeepneys that currently service routes in the City of Makati, the financial center of Metro Manila. An article featuring the LTFRB’s issuance of the first electric vehicle franchise may be found here. Initially, these e-jeepneys were operating with support from the Makati City Government, which had the foresight for environment friendly public transport. But despite the formality of their routes in that city’s CBD, the e-jeepneys could only rely on donations, being unable to charge fares in part due their having no franchise to authorize them to do so. The journey towards this first franchise was a long and somewhat arduous one. It took quite some time for the e-jeepneys to be recognized and registered under the Land Transportation Office (LTO) as the agency didn’t have guidelines that were flexible enough to admit a new generation of vehicles birthed by the desire to come up with low emission, low carbon transport to address environment concerns. 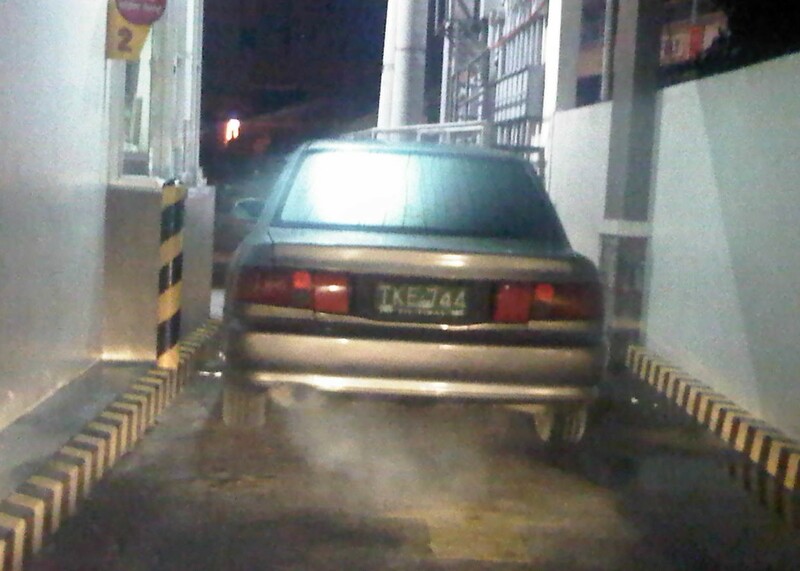 For one, as the popular anecdote goes, the LTO was insisting on the vehicle having a tailpipe! Another story involved inspectors being dumbfounded by the vehicle not having a conventional engine (the e-jeepney had an electric motor). 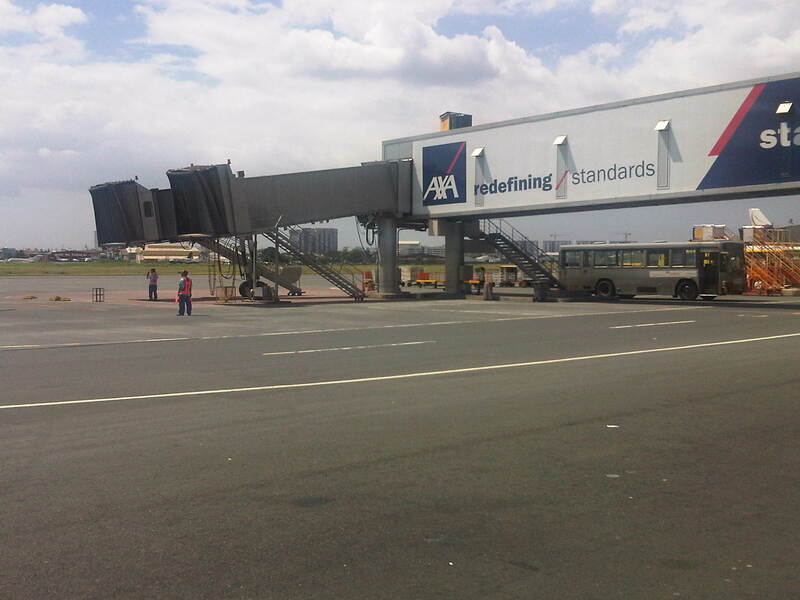 There are other stories (some probably tales) about other obstacles that the proponents of the e-jeepney had encountered from government as well as their own ranks (e.g., businessmen who just wanted to make a quick buck and weren’t really looking at the medium and long term of e-vehicle applications and deployment). And these add up to the significance of their accomplishments up to this point. It is very fortunate and definitely admirable that proponents of the e-jeepney led by the Institute for Climate and Sustainable Cities (iCSC) and active players such as the Clean Air Initiative for Asian Cities (CAI-Asia) and those in the private sector have passionately and persistently pushed for the mainstreaming of electric vehicles. The group, now under the umbrella of the Electric Vehicle Association of the Philippines (EVAP) has been able to get the attention and support of bigger players such as Meralco and its mother corporation Metro Pacific. In fact, EVAP has been very strong in their lobbying for incentive to electric, hybrid and other vehicles using alternative energy sources. Perhaps with the continued, unflagging efforts of the group we will eventually see the transformation of Philippine road transport to one that is environmentally sustainable. Theirs is a group that is very well grounded, knowing that the stakes are high and that the public and the transport sector need to be convinced of the viability of e-vehicles. The social and economic aspects of e-vehicles replacing conventional local transport modes such as the jeepney and the tricycle are quite complex when seen from the perspective of livelihood; a topic that seems to have been taboo to transport planners and policymakers. Yet, it is a topic that would ultimately have to be dealt with or addressed if real transformation is to be achieved for road public transport even outside the realm of the e-vehicle initiatives. Transport, after all, is not entirely an energy issue or something simplified into such. This is why the various agencies need to work closely together and with organizations like the EVAP, the academe and international agencies like the ADB and the WB. It is a challenge to all concerned, and most especially to the DOTC, the DENR and the DOE to collaborate and encourage discussions in order to effect meaningful changes to our transport system. This should be pursued instead of the current set-up where national agencies like the DOTC and DOE appear to be working independently of each other while dealing with the same concerns. This can be problematic as well as wasteful in terms of time and other resources (e.g., funds), and may lead to confusion to the people and organizations involved. 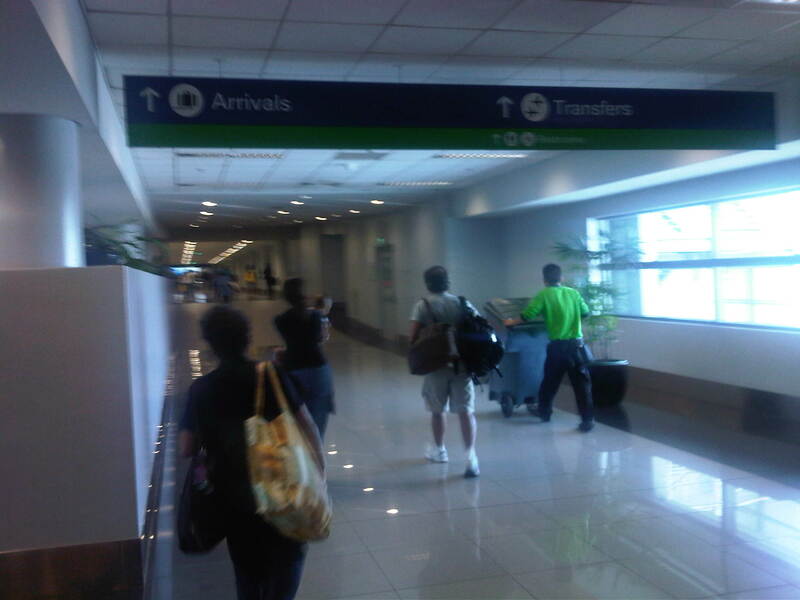 The scenes are very similar to what you would see along roads in many parts of the Philippines. Motorcycles and scooters zipping here and there, often with more than one rider. 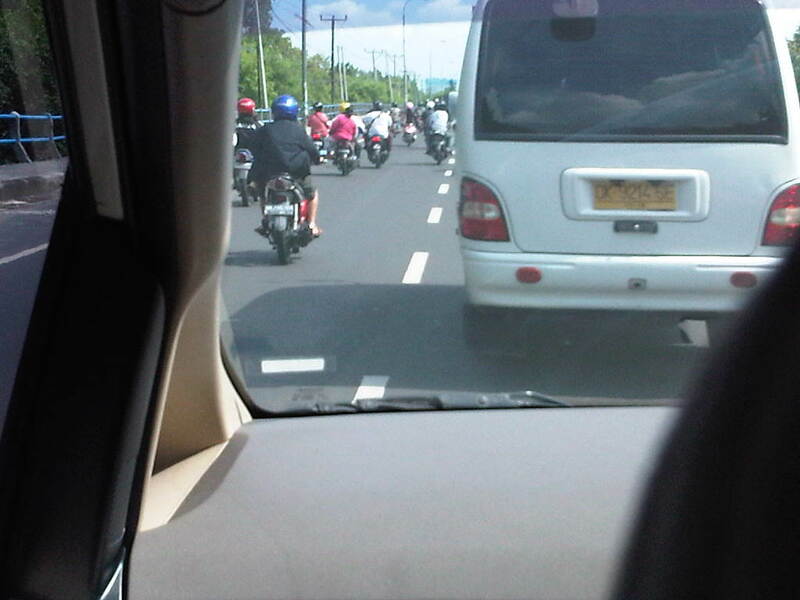 If one were not aware of the fact that the motorcycles and other vehicles were along the left side of the road. Motorcycles are very popular in most of Southeast Asia and is in fact the dominant mode in cities in countries like Vietnam, Cambodia and Thailand. 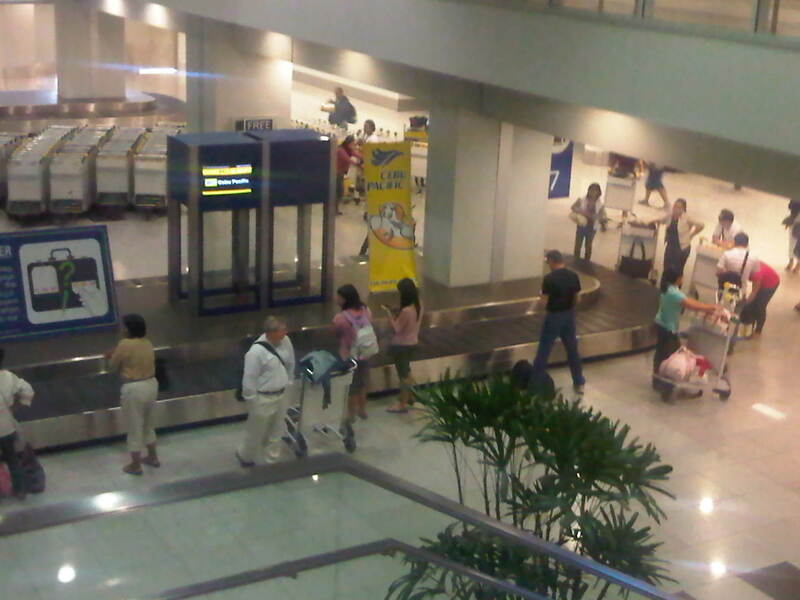 It is also very popular in Indonesia and is rapidly on the rise in the Philippines. Despite the mayhem associated with motorcycles based on the various stories or anecdotes that eventually came with photo evidence, motorcycles are here to stay and there is a lot to learn from the experiences in our South East Asian neighbors for us to improve safety concerning motorcycles. Motorcycles traveling along the left-most lane (the equivalent of our right-most or curbside lane) – that lane is also assigned to public transport. Along this road, the public transport happens to be a BRT variant. The difference in motorcycling between Bali and Manila (or any Philippine city for that matter) seems to be that drivers of other motor vehicles in Bali are more respectful of the rights of motorcycle riders to road space. 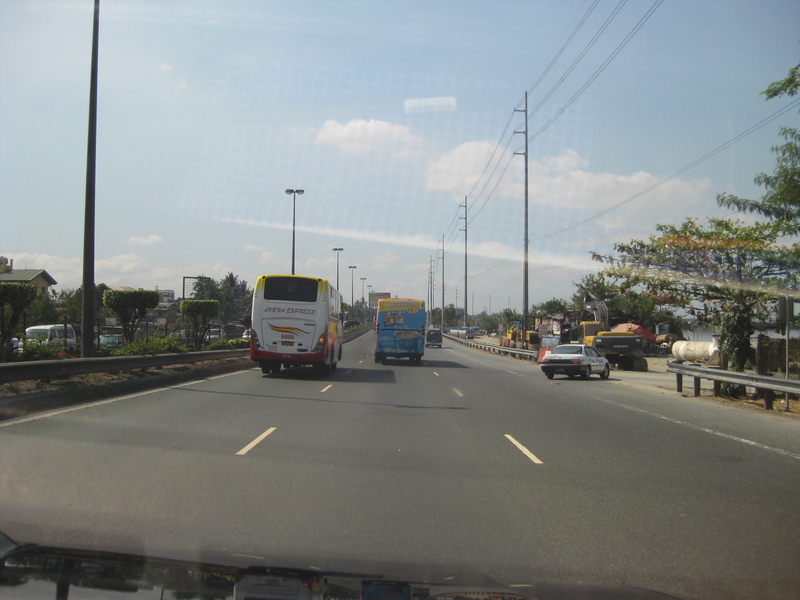 While lane splitting is also a common occurrence as well as riding along other motorcycles in the same lanes, the impression is that in the Philippines, riders have higher risks considering the likelihood that they will be sideswiped by other vehicles particularly public transport (buses, jeepneys and AUVs) and trucks. 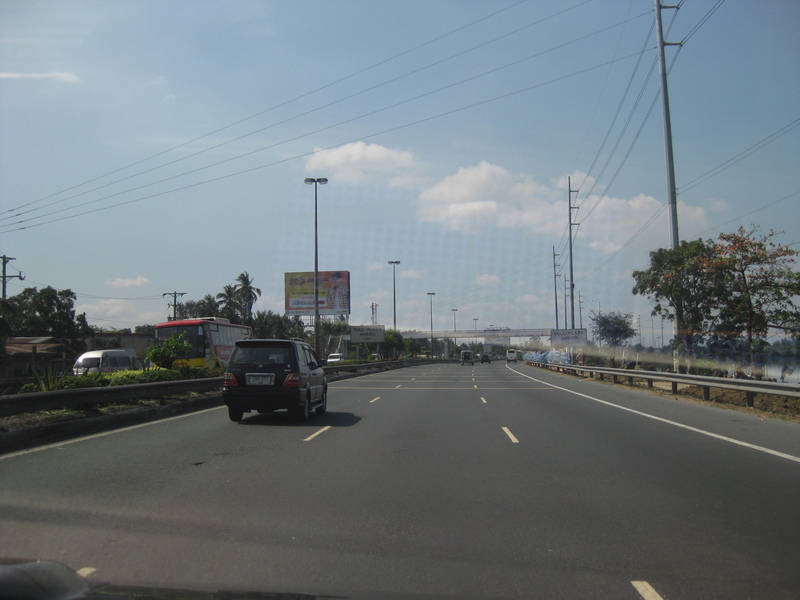 Philippine drivers have a tendency to assert their positions along the road often tailgating or shifting lanes (cutting) at the last moment, and often with the smallest of gaps available for such maneuvers. Such behaviors often have them in conflict with motorcycle riders who are brushed off as minor elements in traffic. 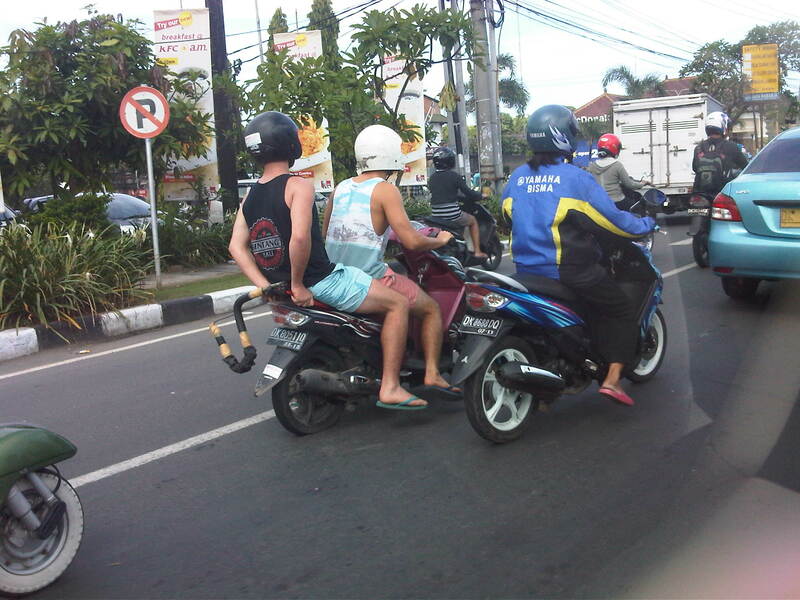 From a driver’s perspective, motorcycle riders in Bali seem to be more disciplined when in flowing traffic, seldom weaving when not required to do so, even while traveling at 2 or 3 motorcycle beside each other along a lane. This is not the case in the Philippines where riders tend to speed even when unnecessary and employ risky maneuvers while doing so. Such behavior increases the likelihood of crashes involving motorcycles, as there are increased interactions among vehicles. With or without motorcycle lanes, riders (and their passengers) should be safer if other motorists would just respect their rights to the road. This works the other way around where motorcycle riders should, on their part practice lane discipline and refrain from unnecessary maneuvers like lane splitting and weaving in flowing traffic. Mutual respect and discipline, while perhaps difficult to achieve in the immediate term are something that should be encouraged with firm and fair enforcement of traffic rules and regulations. Otherwise, mayhem in our roads will continue and will exact more lives and limbs from motorists and pedestrians alike. When the current President announced his disdain for wangwang or the illegal use of sirens by different people (usually the abusive ones), the LTO, the PNP and other authorities immediately cracked down on vehicles using wangwangs. It took just a few days to eliminate these irritants of our roads and the public was treated to government in action and serious about eliminating manifestations of corruption and abuse that we seem to have accepted as part of our society. But what seemed like a good opening move eventually deteriorated somewhere in the middle game and others similar to the wangwang have not been addressed. It is a case of ningas cogon and it is a case where government failed to build on momentum (from the wangwang campaign). Two particularly serious matters that I would like to see the government address pertain to tailpipes and license plates. For tailpipes, there are just too many smoke belchers out there that it doesn’t take a genius to know that there are so many vehicles that should not be running along our roads. For license plates, I cite the examples of the abuse of commemorative plates and the use of covers to obscure the plates (i.e., tinted covers). We see a lot of these vehicles that obviously didn’t or wouldn’t pass emission tests. You wonder why our air quality is still on the decline despite provisions of the Clean Air Act. The answer is quite simple – “non-appearance.” The term refers to those not really undergoing the emission tests required of vehicles prior to the renewal of their registrations. In fairness, the LTO seems to have tried so many ways to ensure that vehicles do undergo emission tests but these efforts have not translated into cleaner air and we see a lot of cars, jeepneys, buses and trucks belching smoke everywhere we go. No wonder road transport is the biggest contributor of air pollution in our cities. It seems that commemorative plates are back and with a vengeance. 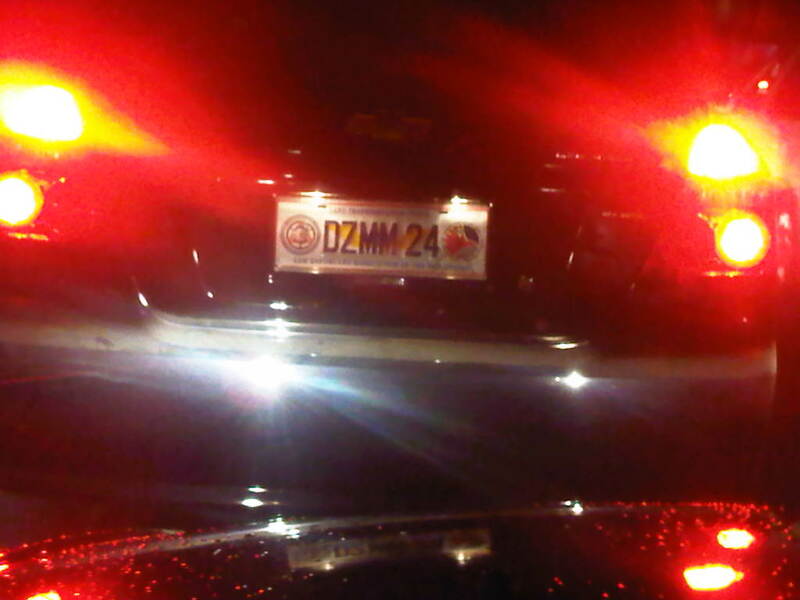 License plates are replaced by commemorative ones so that the users can evade being accosted by MMDA and other enforcers for number coding violations. Among the most popular commemorative plates I’ve seen used to replace standard ones are those bearing the names of the NBI, PNP, LTO and DOTC. These are the agencies who are supposed to be enforcing against the improper use of commemoratives and yet they are the ones who seem to be promoting the abuse. Then there are those announcing the positions or offices of certain government officials like those bearing special plates (8, 16, “Councilor,” etc.). The other day there was even a news report where former congressmen continue to use special plates while no longer in office! Such manifestations of abusive behavior continue along our roads and in plain sight of everyone and most especially people who are supposed to enforce traffic rules and regulations. While the attention of the public is on the big ticket and more controversial and sensational impeachment trials, the government seems to have forgotten that in order to achieve its “matuwid na daan” slogan, it has to grind out the even more challenging task of eradicating the rest of the wangwangs and effect behavior change in transport. 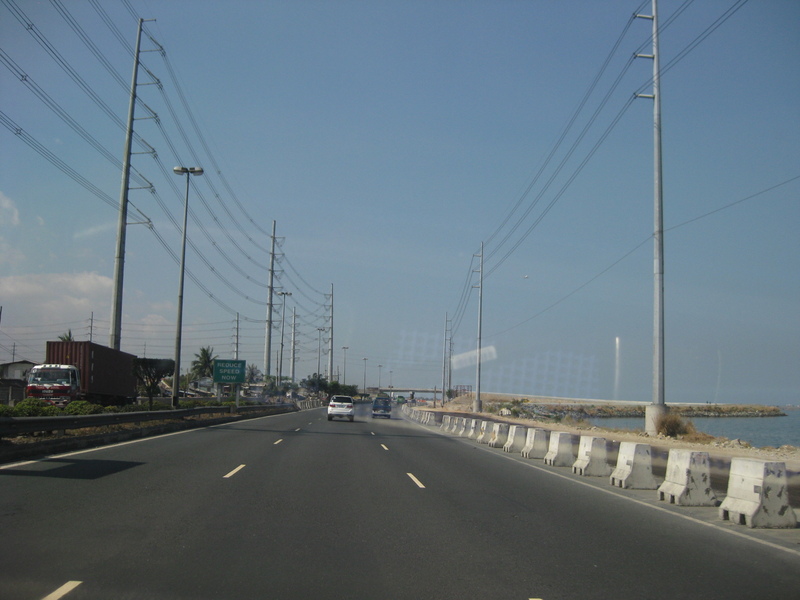 One of the shortest tollways in the Philippines is the Coastal Expressway, which was actually a free road in the 1990’s (then known as the Coastal Road). 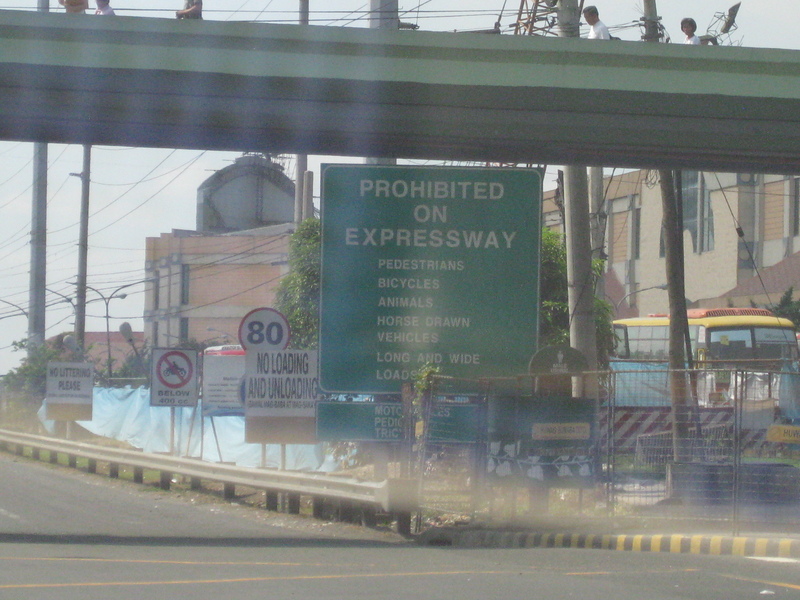 It now connects to a longer segment that is the Cavite Toll Expressway (CaviTEx). Following are photos taken during a recon survey of an area along the expressway in relation to a traffic impact study we were conducting for a major development. There seems to be so many signs on this corner leading to the entrance to the expressway. 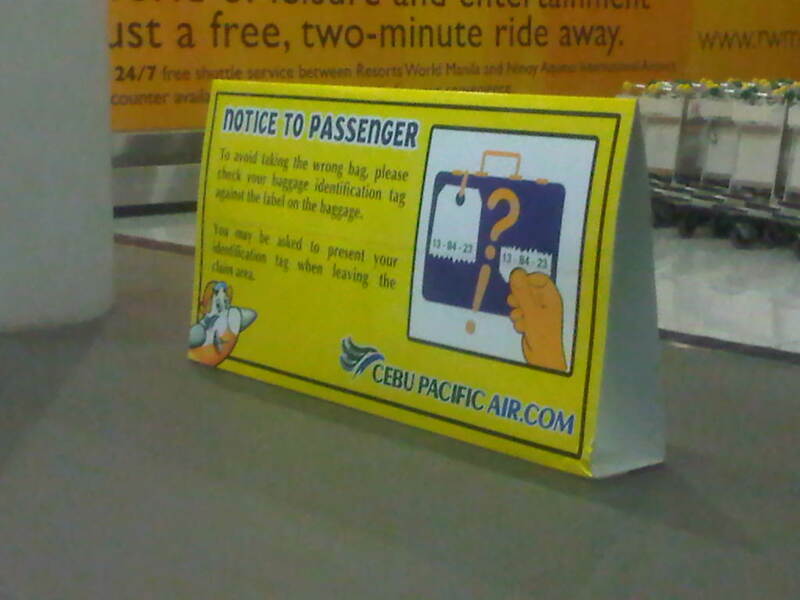 This is an example of what not to do in as far as signage are concerned. 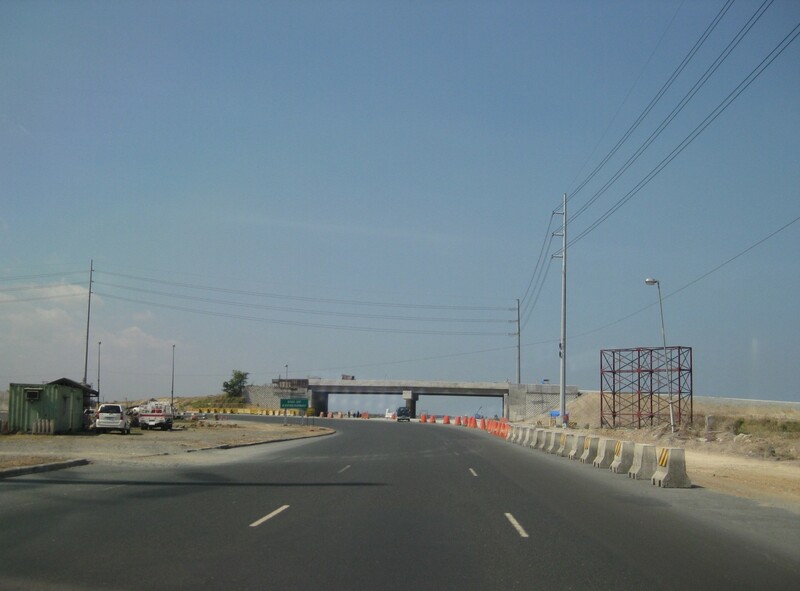 From the intersection, it is practically free flowing traffic leading to the toll plaza. 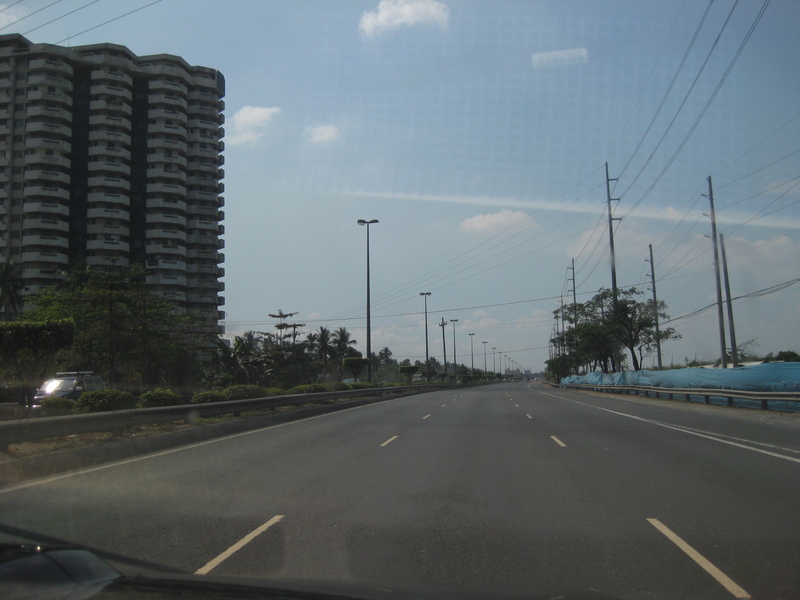 On one side of the expressway are residential/office condominium developments and on the other side are undeveloped or under-developed reclamation areas. 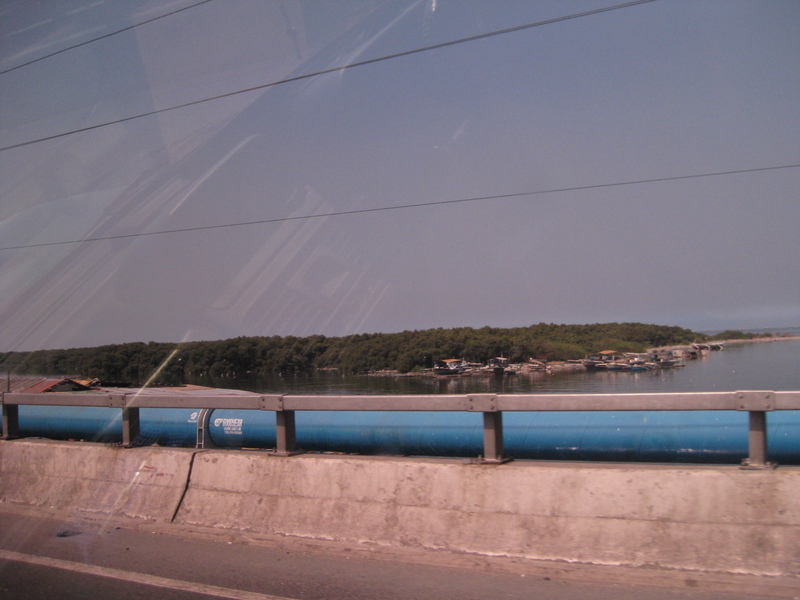 The photo shows one of several small islands from across the tollway that is host to mangrove forests. These growths in turn host an entire eco-system that includes migratory birds, which makes the area a popular site for conservationists, environmentalists and bird-watching enthusiasts. 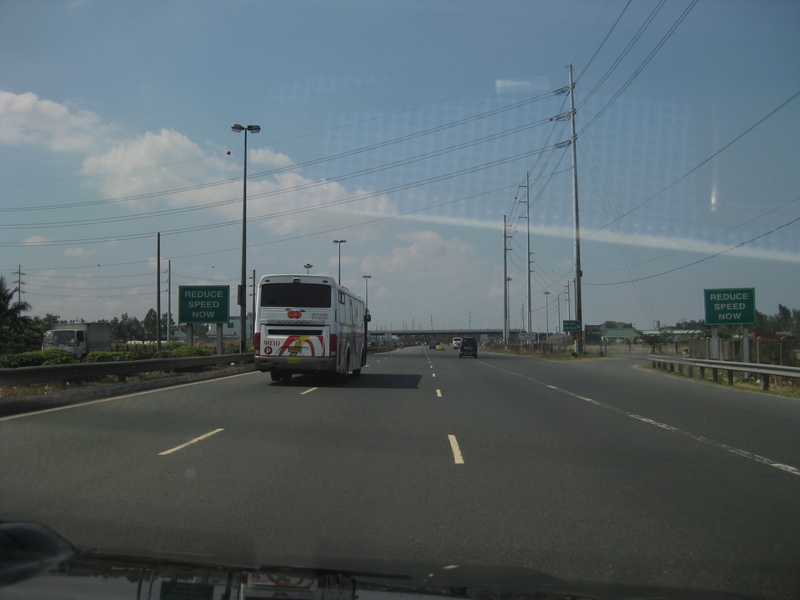 Many provincial buses use the tollway from terminals and stations in Pasay and Manila. This is because the tollway provides a direct access to the province of Cavite where many people who work or study in Metro Manila reside. The tollway has 3 lanes per direction with standard shoulders on either side of the carriageway. The is also a median separating the opposing flows of traffic. Signs advise for the reduction of speeds as vehicles approach the only toll plaza along at the time along the route to Cavite. 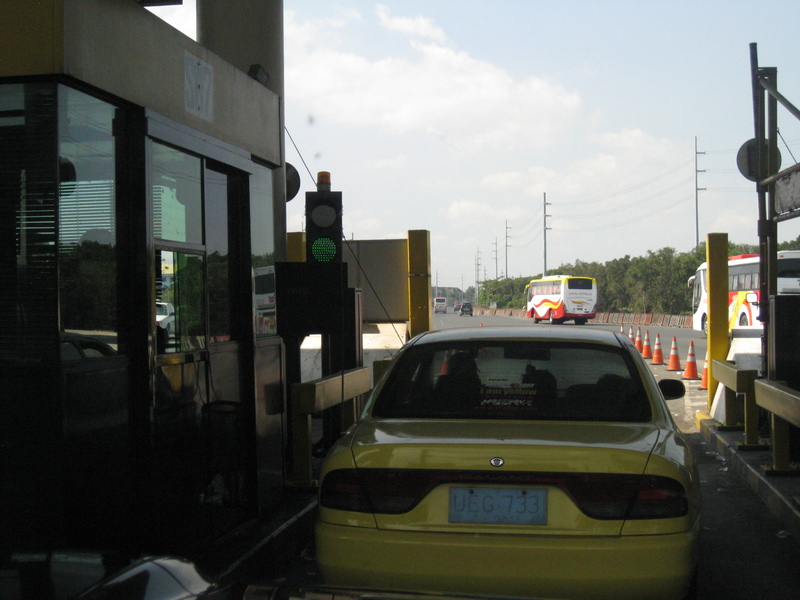 There is a minor toll facility along a feeder road to the tollway along the northbound side but it seems more an accommodation rather than a full-fledged tollgate. 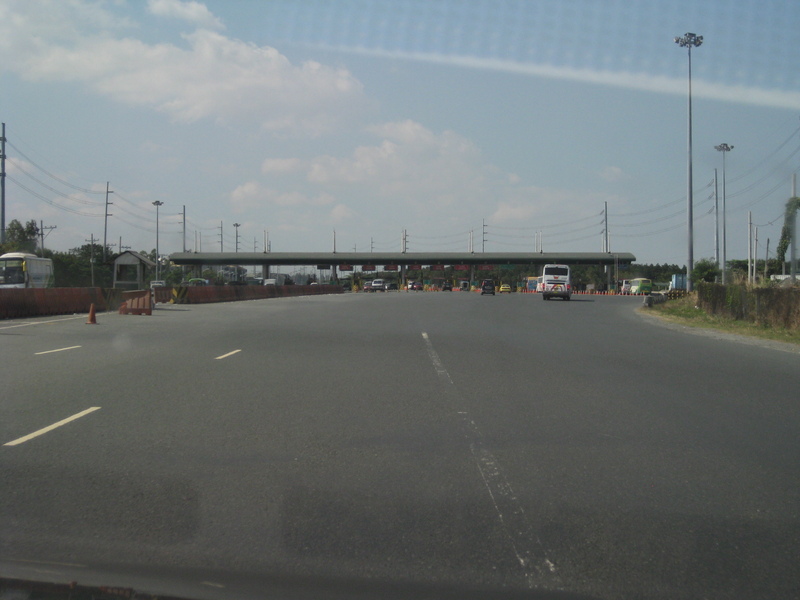 The Coastal Expressway toll plaza – traffic during the time of travel was light despite it being a weekday. However, traffic can be quite horrendous during peak periods and queues particularly long at the toll plaza. There are no electronic toll collection systems in place yet so all transactions are manual. The highway section widens at the plaza for the multiple booths to be able to accommodate vehicle arrivals. 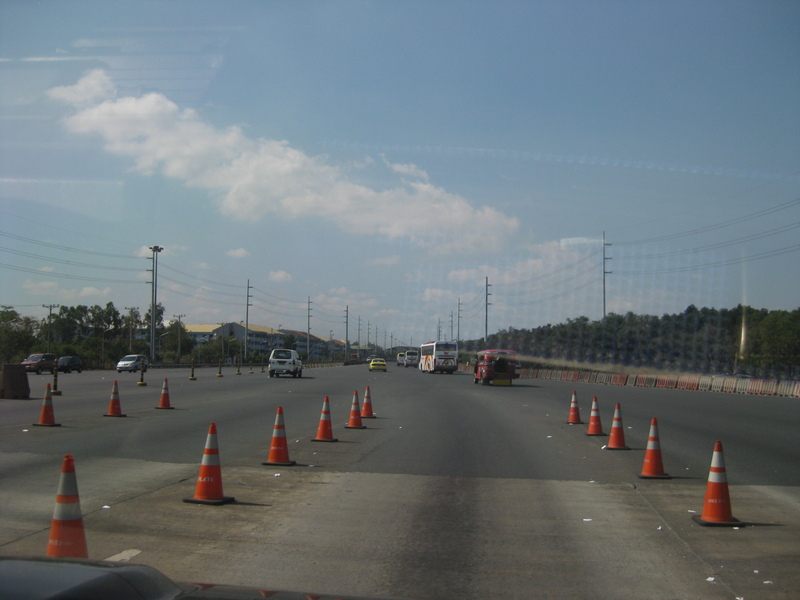 Traffic cones help guide motorists from the toll plaza who will eventually transition back to a three-lane section. 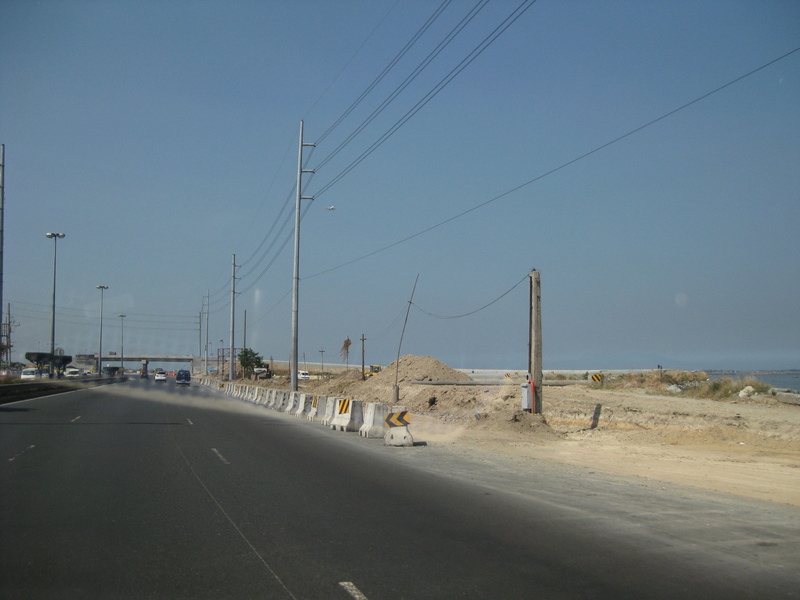 Nearing the then end of the expressway in Bacoor, Cavite, one could already see the ongoing interchange construction and the unfinished section of CaviTEx. 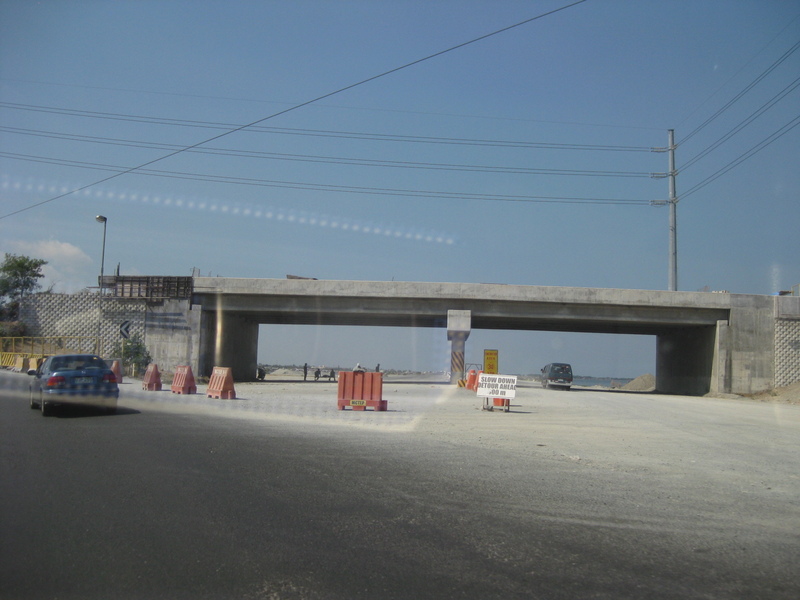 At the time these photos were taken, the CaviTEx was not yet completed and the Coastal Expressway ended at Bacoor. 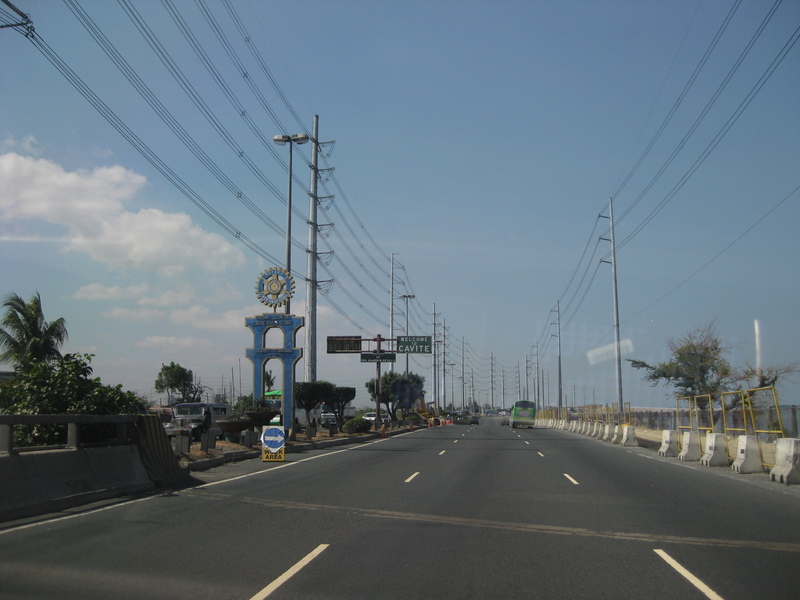 The curve leads motorists to Bacoor town proper. 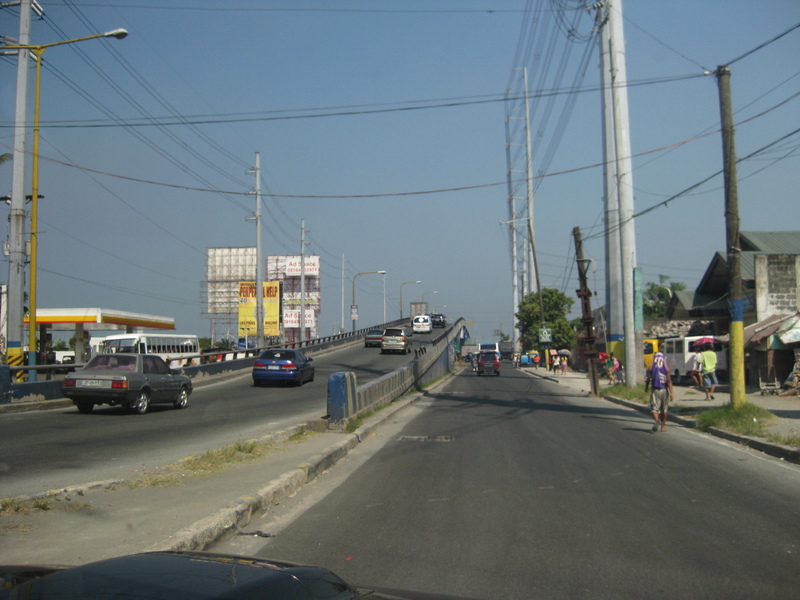 Turning towards Bacoor, motorists are greeted by another overpass on the opposing direction that leads travelers from the Alabang-Zapote Road (from Muntinlupa) or the Aguinaldo Highway towards the Coastal Expressway. 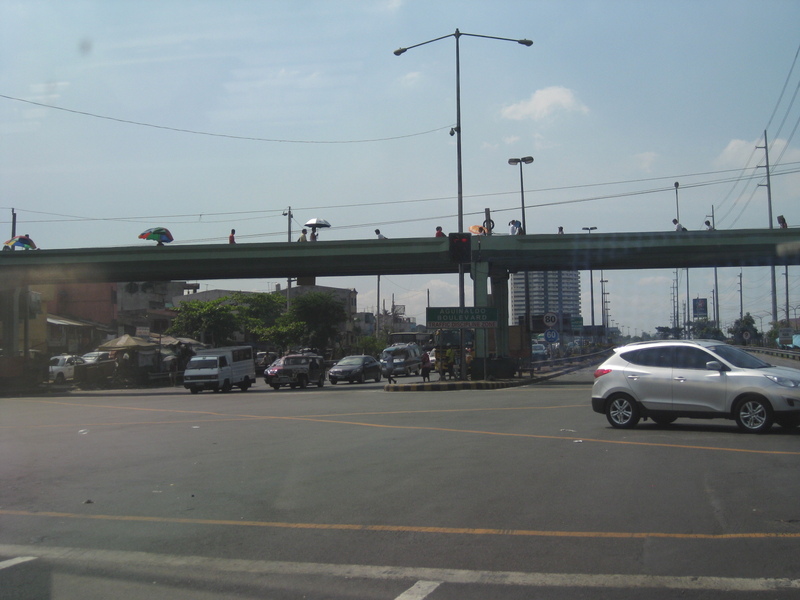 Travelers wanting to proceed to Las Pinas via Quirino Avenue may turn beneath the flyover. 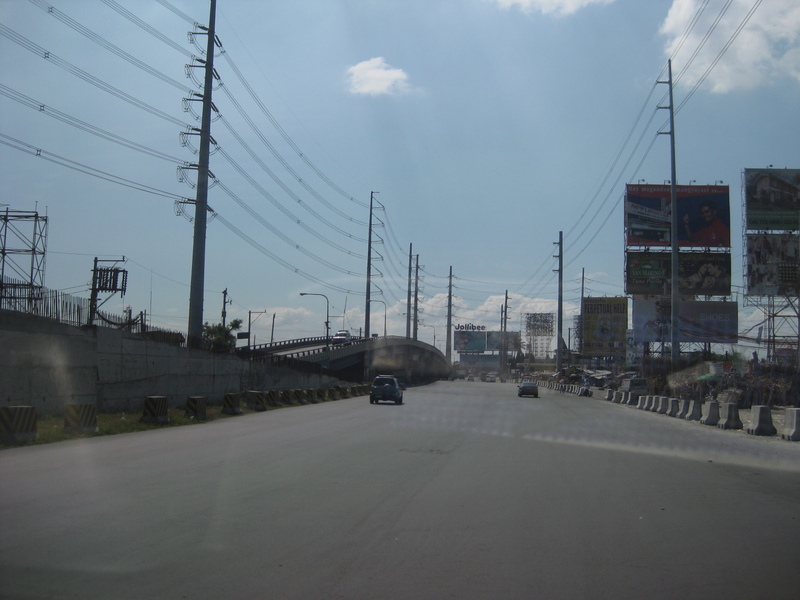 To go to Alabang via the Alabang-Zapote Road, motorists should stay on the left side of the road. 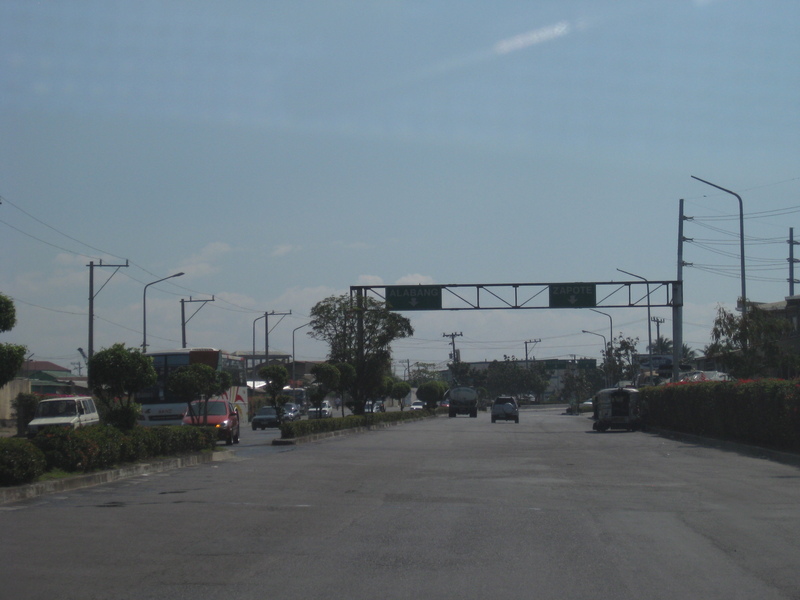 To go to the Aguinaldo Highway, one must keep to the right. 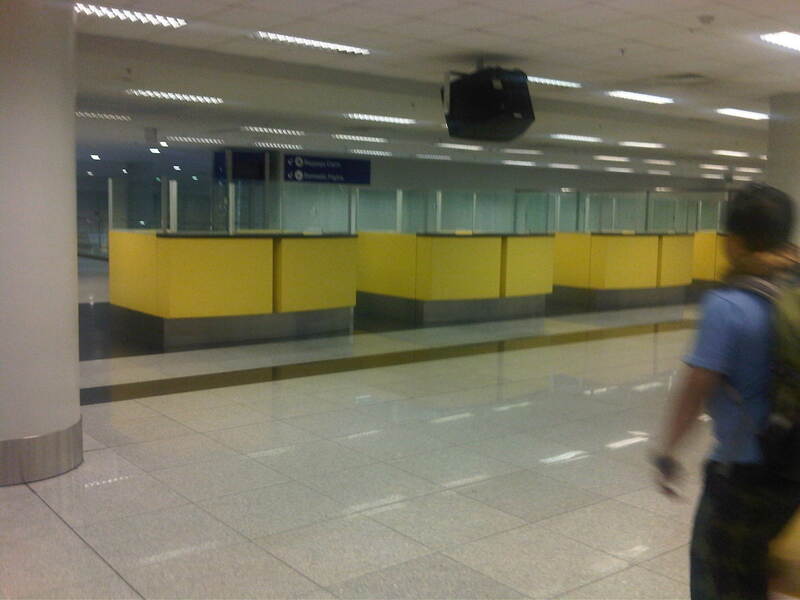 With the recent withdrawal of charges by PIATCO, the full operations of NAIA’s Terminal 3 should be underway. 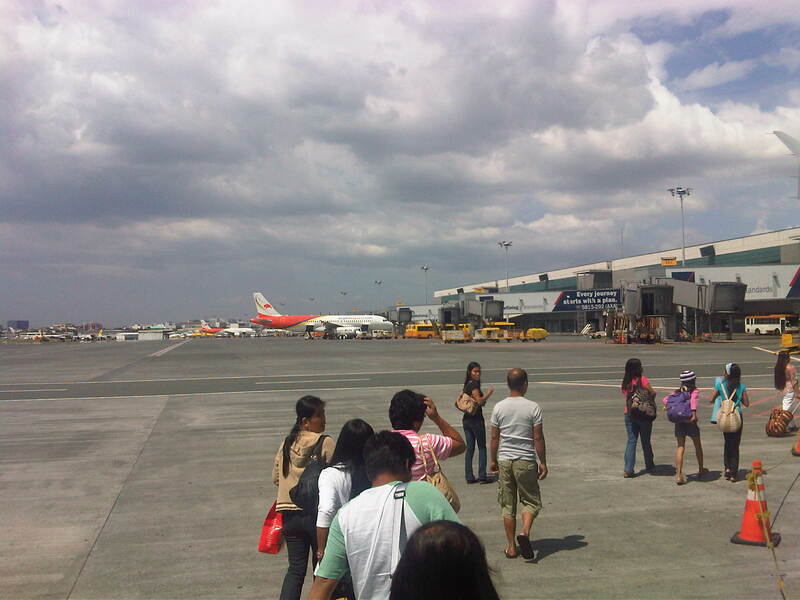 Until now, the operations of the terminal has been at best limited despite the increasing number of flights being handled by the terminal with the continuing growth of Cebu Pacific and the addition of Japan’s All Nippon Airways (ANA) to the few airlines that have made Terminal 3 their home in the Manila. 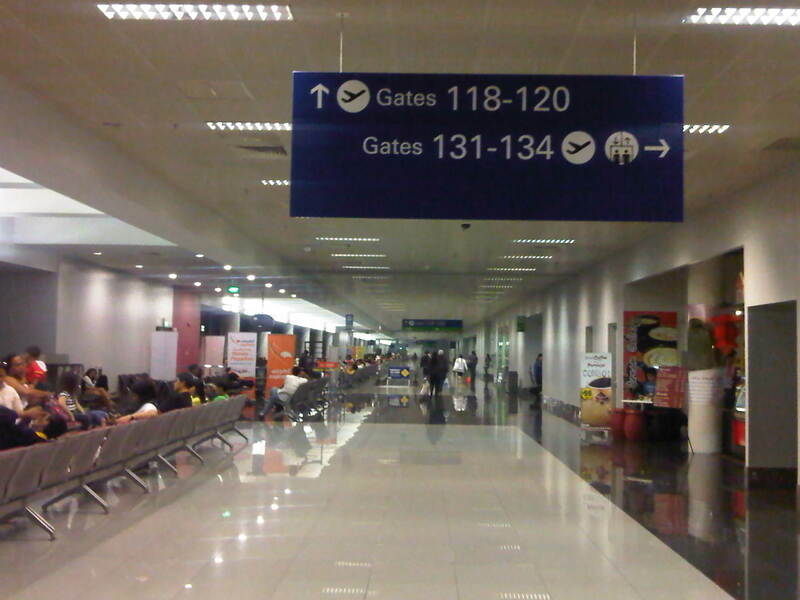 With plans for the much maligned Terminal 1 to be renovated and the impasse on what to do at Clark, it is expected that more international flights will be handled at T3. 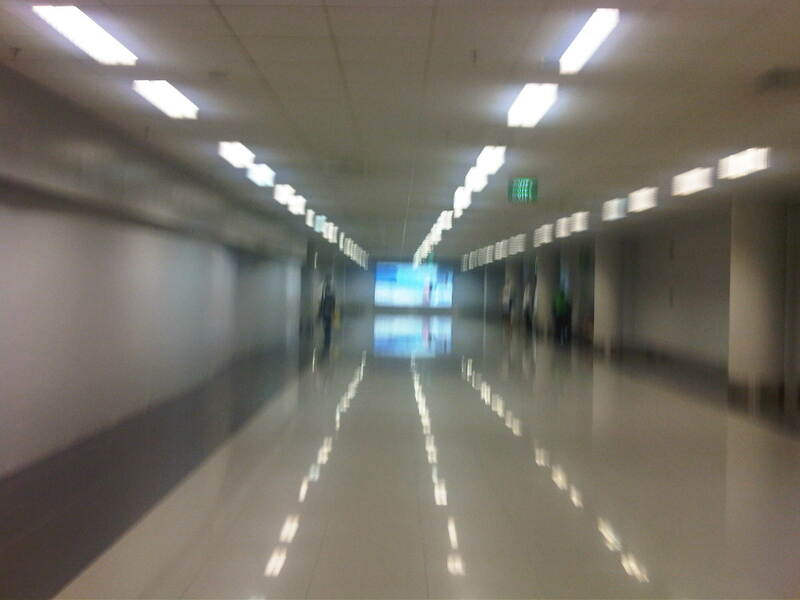 Following are photos of the Terminal 3 North Wing departure area from a recent trip. 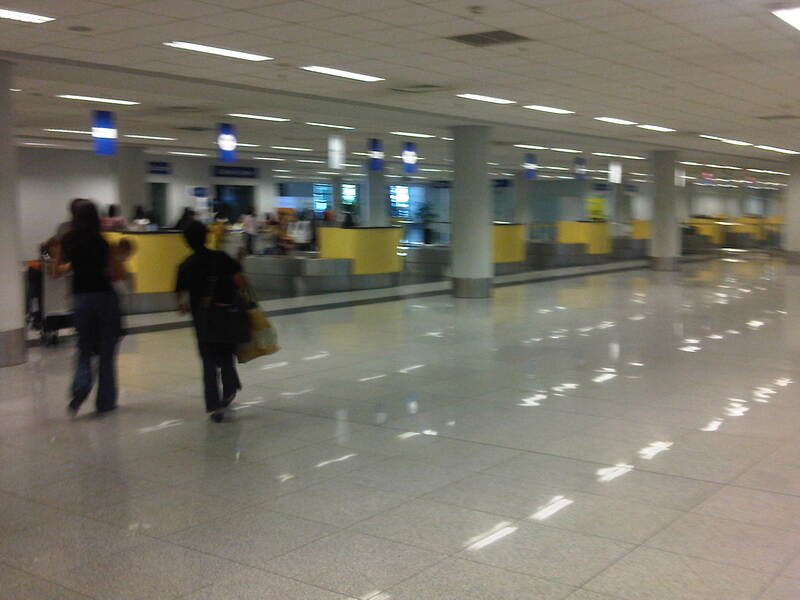 The North Wing handles the domestic flights while the South is for international operations. 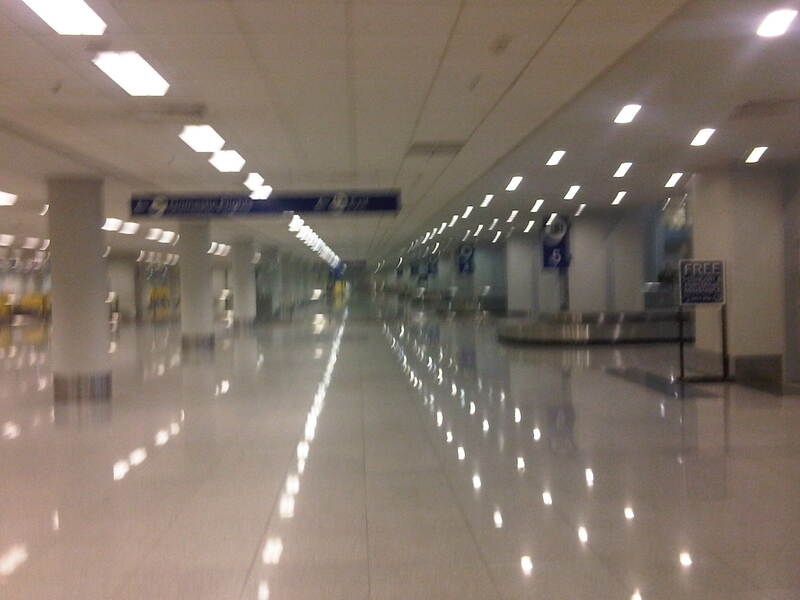 There are already many passengers taking the early morning flights. 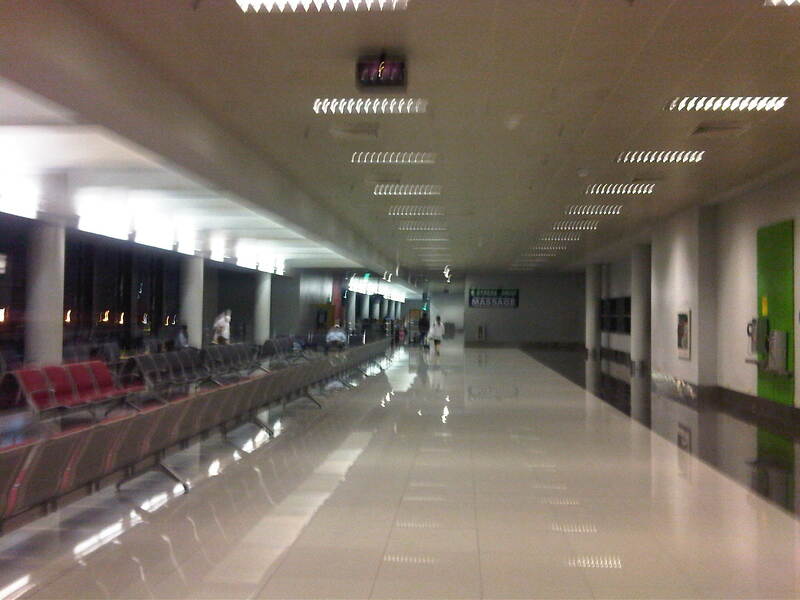 This photo was taken at around 4AM and shows shops to the right along the corridor and the seats lined up along the left. 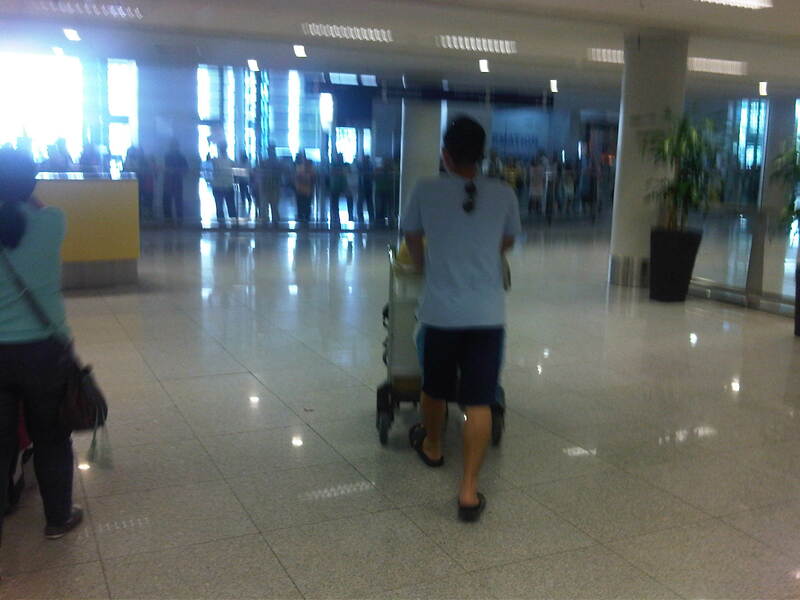 The walkalator or conveyor was not functioning just like at the other wing (I am unsure of the reasons but this was probably to reduce operations and maintenance costs.). 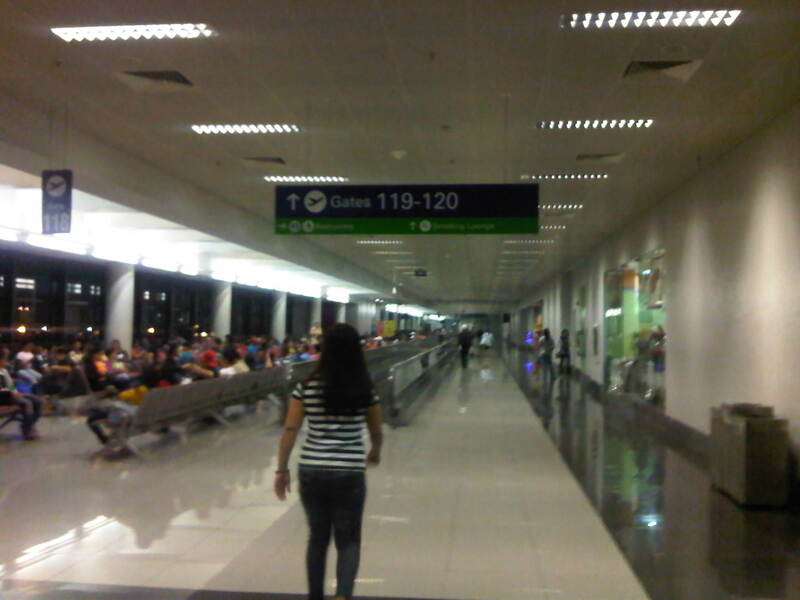 Our gate was at the end of the wing and there were few people when I arrived at the area. 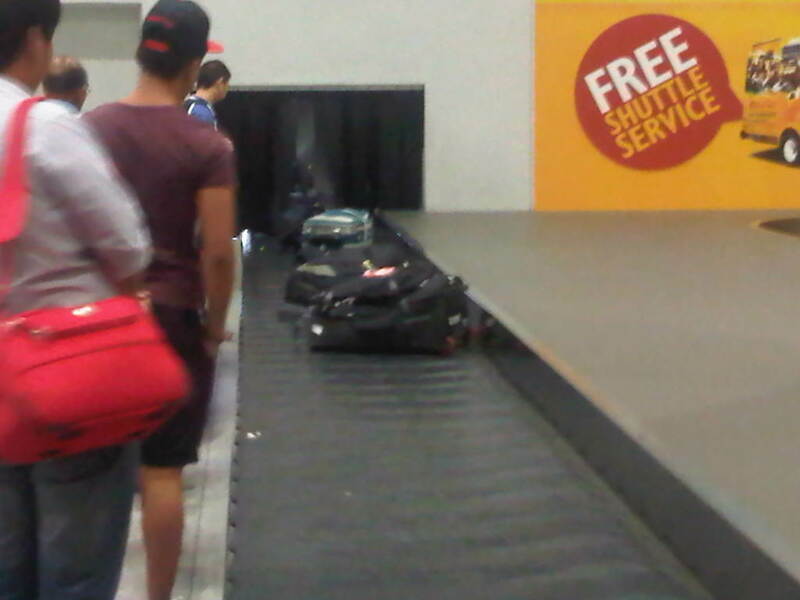 Other passengers can be seen napping across several seats as they wait for their flights to be called. 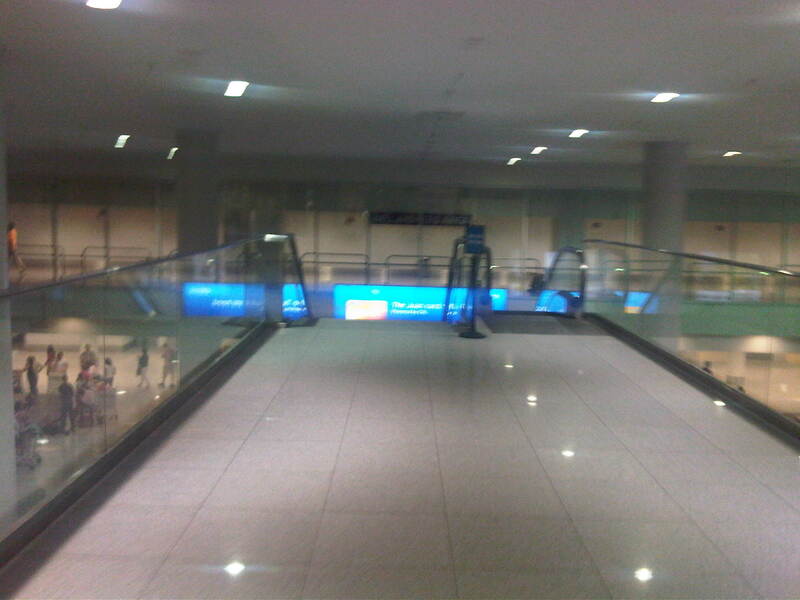 I guess its clear from the photos that Terminal 3 is clean and orderly though many facilities like the moving walkways are not currently operational and there is still the issue regarding the non-operation of the multi-storey car park for the terminal. Hopefully, such issues are eventually resolved and the full operation of the airport for international flights is indeed something to look forward to.